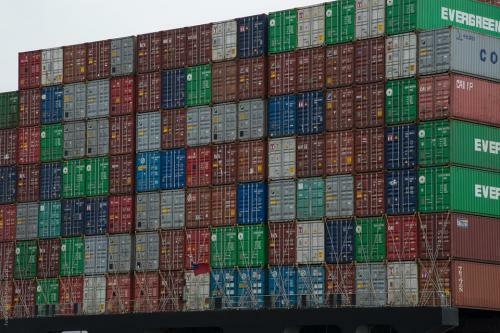 Major U.S. container ports are witnessing an increase in retail imports on the back of a delay of U.S. tariff increases on Chinese goods and the approaching summer season, according to the National Retail Federation. U.S. ports covered by Global Port Tracker handled 1.62 million TEU in February. That was down 14.3 percent from January and down 4 percent year-over-year. As noted by NRF, February is traditionally the slowest month of the year because of Lunar New Year factory shutdowns in Asia and the lull between retailers’ holiday and summer seasons. March was estimated at 1.63 million TEU, up 5.9 percent year-over-year while April is forecast at 1.75 million TEU, up 6.9 percent. The 1.97 million TEU forecast for August would be the highest since the record 2 million TEU set last October as retailers brought holiday merchandise into the country ahead of expected tariff increases. Imports during 2018 set a new record of 21.8 million TEU, an increase of 6.2 percent over 2017’s previous record of 20.5 million TEU. NRF expects the first half of 2019 to total 10.7 million TEU, up 3.7 percent over the first half of 2018. “Retailers are starting to stock up in anticipation of a strong summer,” NRF Vice President for Supply Chain and Customs Policy Jonathan Gold said. U.S. tariffs of 10 percent on USD 200 billion worth of Chinese goods that took effect last September were scheduled to rise to 25 percent in March, but the increase was postponed by President Trump, citing progress in talks between Washington and Beijing. The tariff increase has been put on hold indefinitely while the negotiations continue.